Amazing to me how photos like this come out of the woodwork. I put the word out that I am looking for photos, and this gem appears. 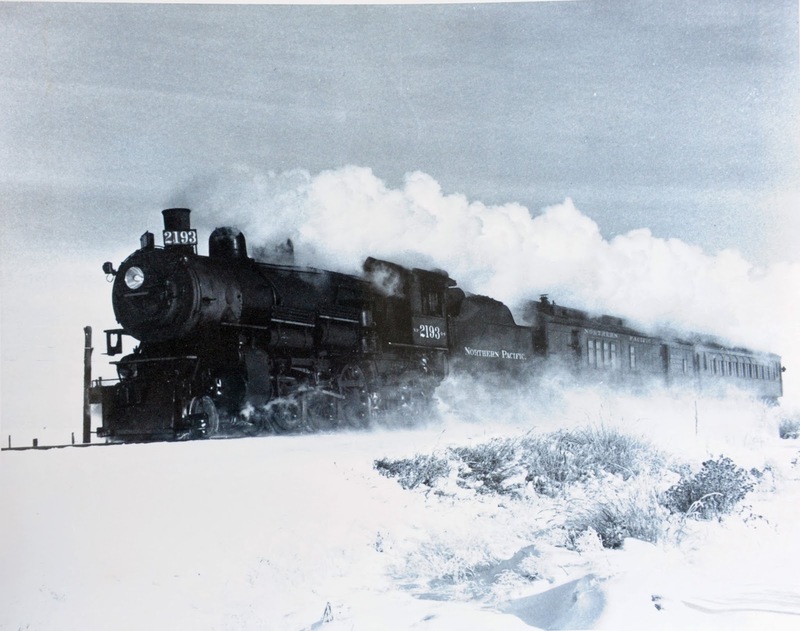 1949 photo of a passenger train on the CW branch. Photo label states this is one crossing west of Hartline. Bruce Butler adds the following about the picture: "That would be train 305 and I believe the caption is correct. Westbound, it is bit of a downgrade approaching the crossing. 2193 is a hand-fired Q-4 Pacific, standard CW and P&L passenger power in that era. By the time I was in circulation the only NP Pacifics I saw was the 2256 and 2260, both class Q-6. 2256 in fact handled the last CW passenger train in March, 1954."